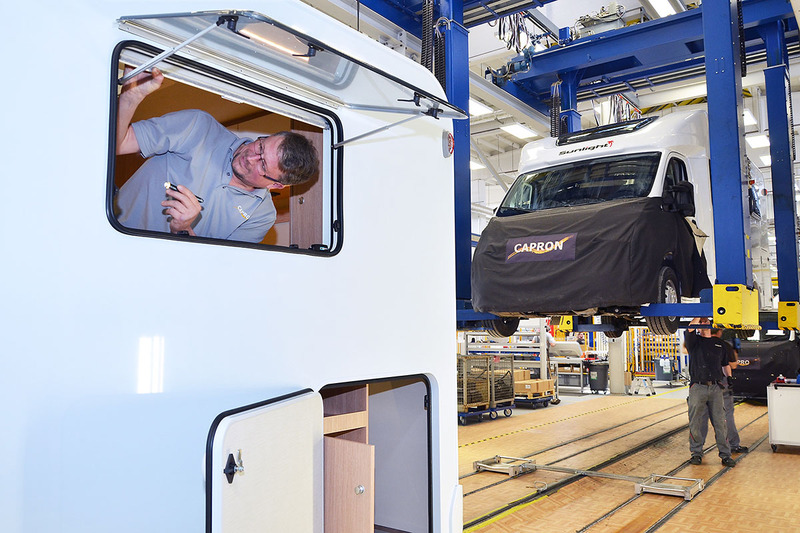 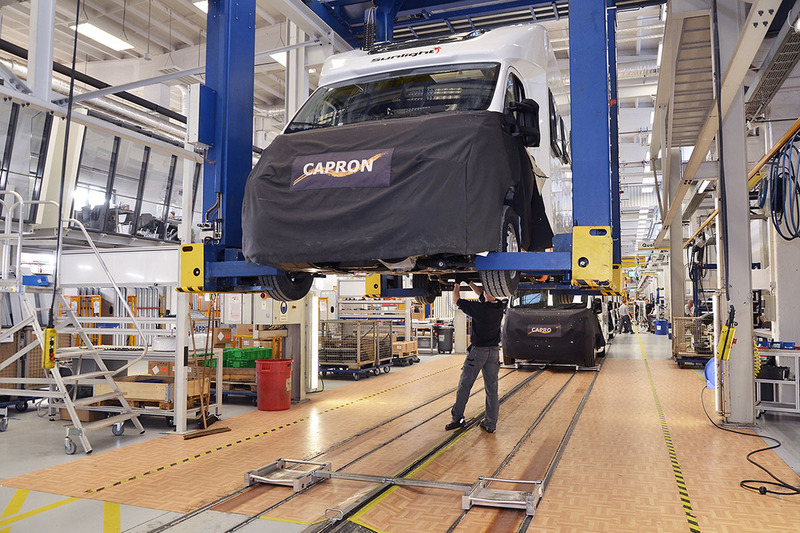 The journey from the base vehicle to the comfortable apartment on wheels, takes place on one of our two production lines. 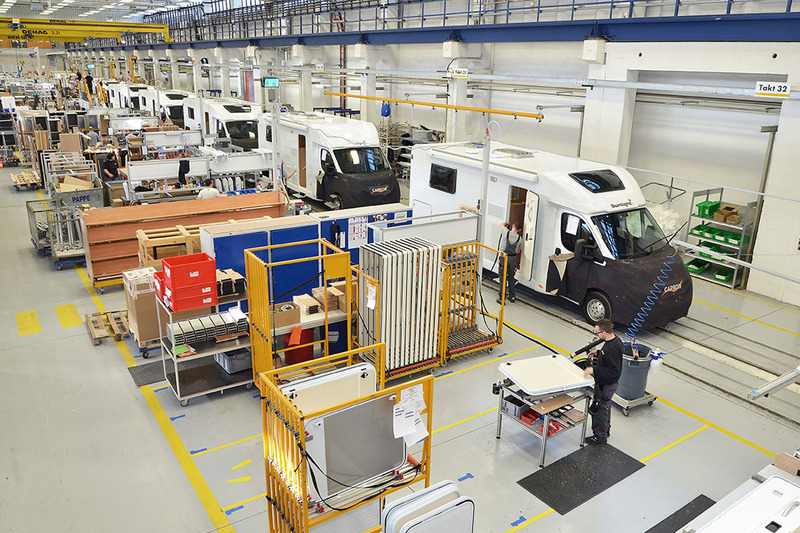 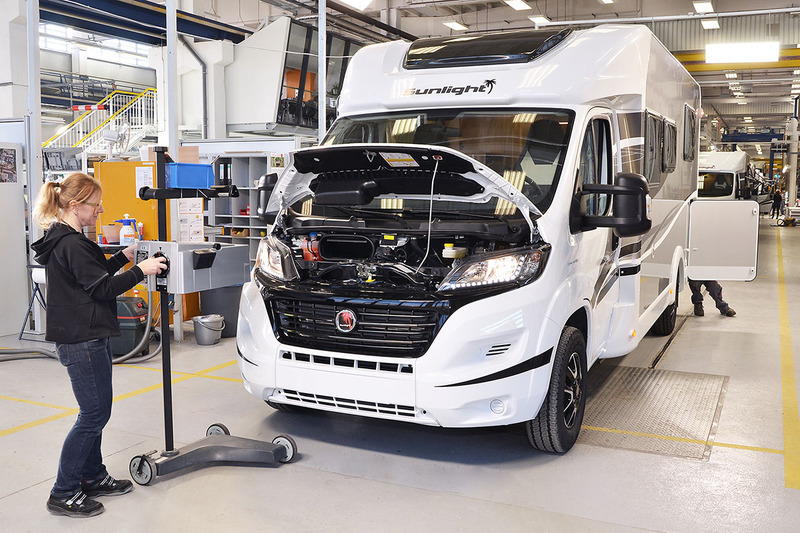 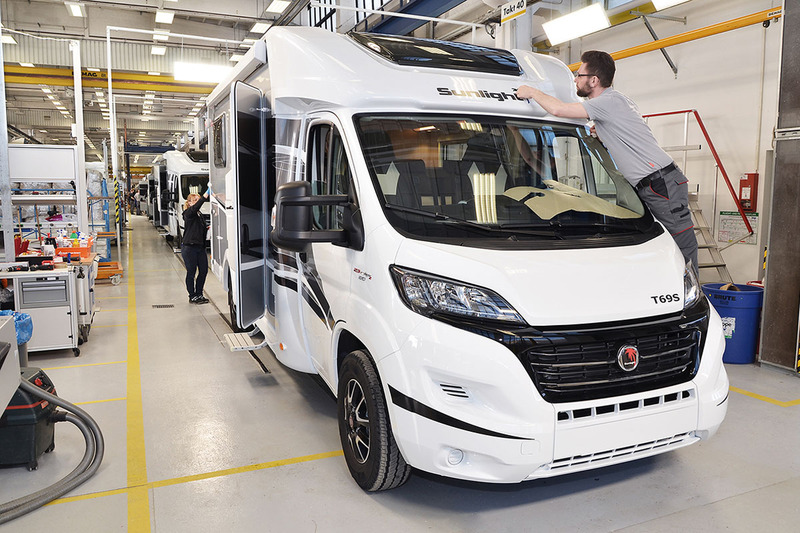 Among the practiced hands of our skilled and dedicated employees, the various motorhome models are assembled step by step. 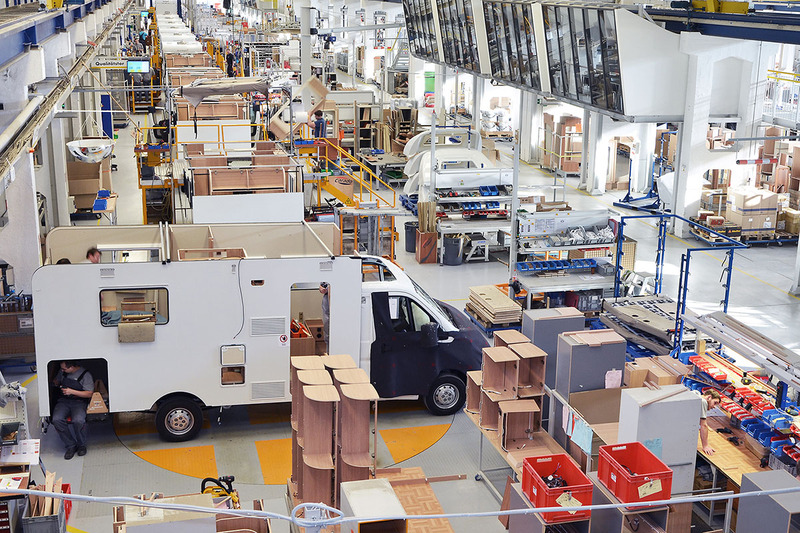 The side walls and roofs are manufactured in the in-house “sandwich department” where outer skin, insulation and interior lining are glued together, pressed and contour milled. 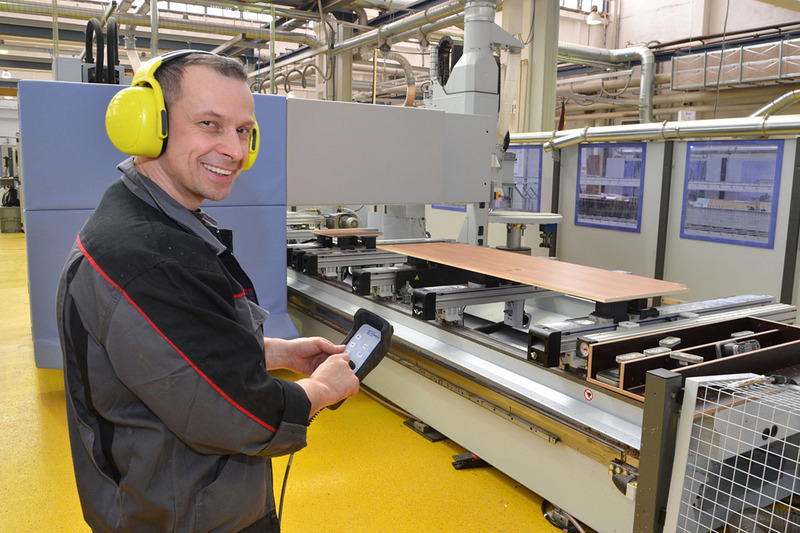 The furniture parts are produced in our own plant, which has a state-of-the-art machine park. 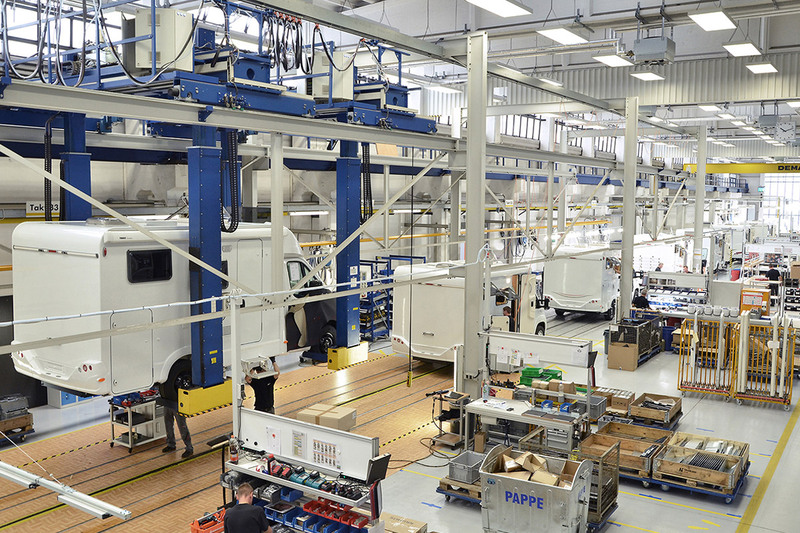 Our efficient processes, a special logistics concept and our purchasing policy ensure high flexibility and cost advantages, which benefit our customers in the form of favourable prices. 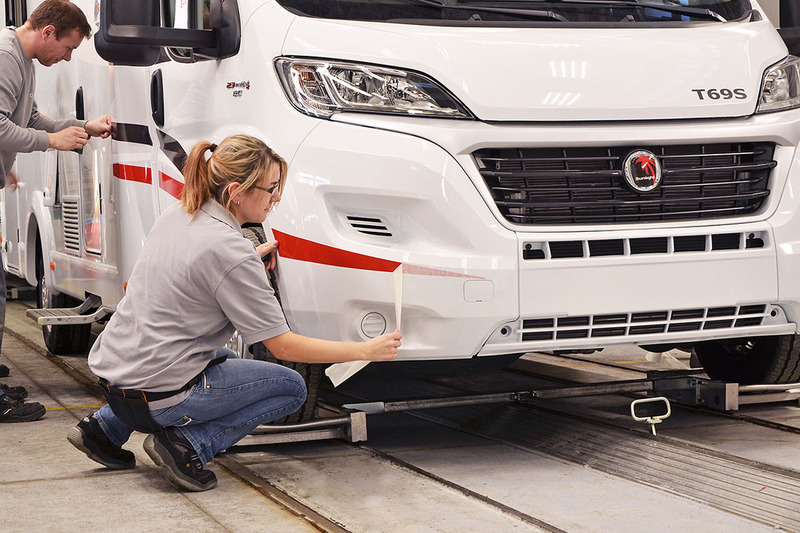 Whether wood technicians, car mechanics, coach builders, electricians, installers, logisticians or engineers – a team of well-trained and motivated specialists are committed to ensuring that our quality standards are upheld throughout.